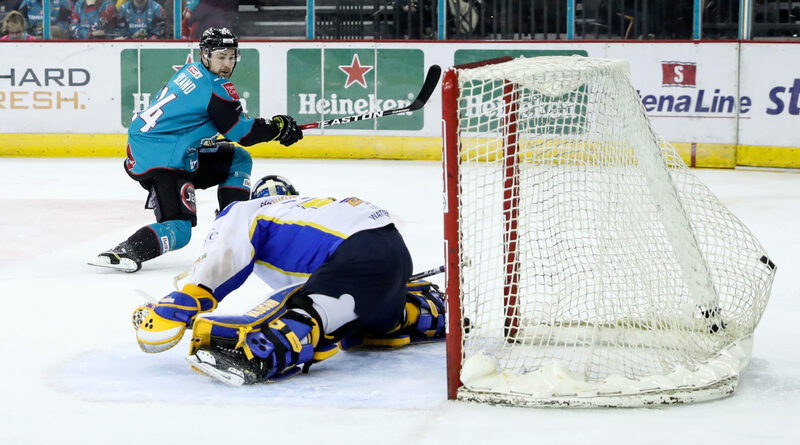 After two weeks of heartbreak, the unspoken truth around the SSE Arena on Friday evening was that it was do or die time for the Belfast Giants. 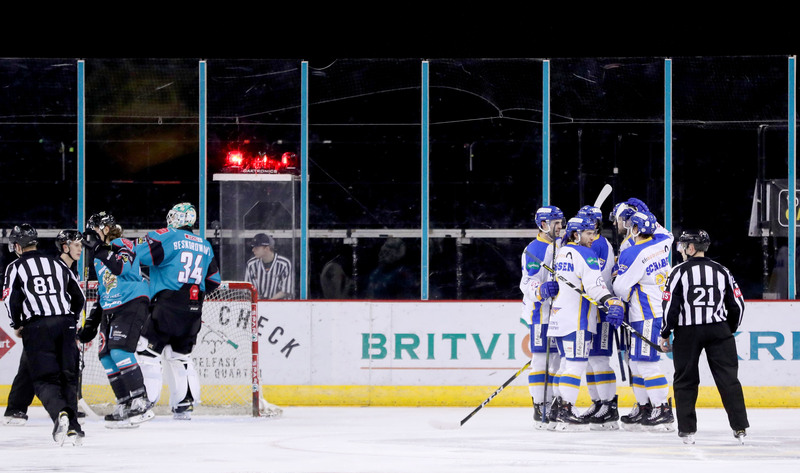 An agonising Continental Cup final loss on sudden death penalty shots had given way to a 0 point weekend in Cardiff. The reigning Champion Devils now held a commanding 11 point lead at the top of the Elite Ice Hockey League, and despite Belfast’s 2 games in hand, this weekend’s treble against the Fife Flyers (Fri/Sat) and road trip to Milton Keynes (Sunday) was critical to keep hopes of league glory alive. 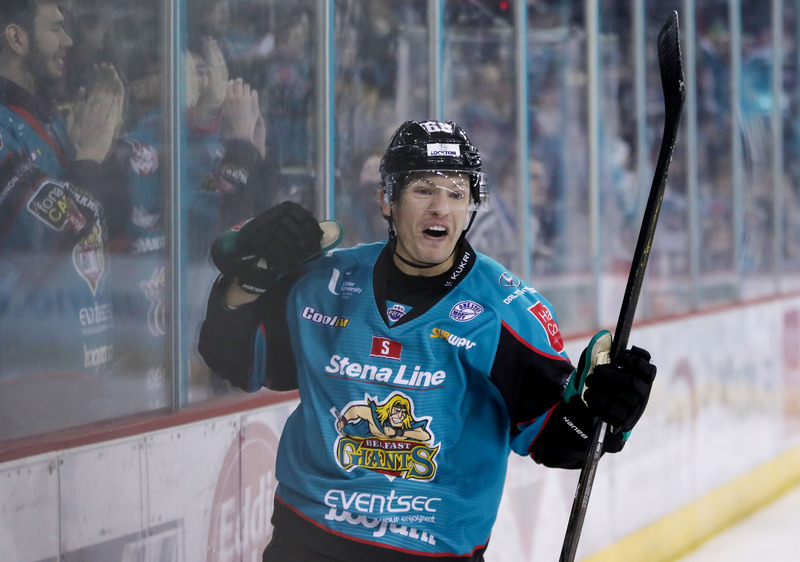 The Belfast Giants had scratched Hunter Bishop for the encounter, joining long term injury layup Guillaume Gelinas in the stands. Chris Higgins made a welcome return after missing the trip to Wales last week on a pre-arranged trip to the States. Fife meanwhile were without Forward #71 Marcus Basara and hometown Defenseman #3 Reece Cochrane. After a choppy start to the first period, the Giants settled and controlled the offensive zone well for the better part of five minutes. Not only that, when the puck was turned over they were committing to their forecheck, a number of stiff hits delivered in the West End of the arena looking very much like a statement of intent. The shot count read 15-12 in favour of Belfast as the period wound to a close. 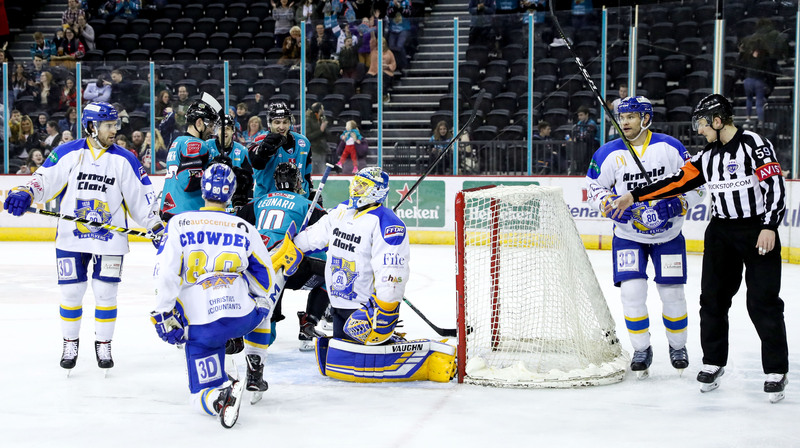 A wild second period saw the Giants go 5 on 3 following successive Fife penalties. They wasted no time in making the visitors pay, scoring twice in just 50 seconds. Todd Dutiaume immediately called a time out to settle his Flyers back into the game. The third period was an altogether much slower paced affair- which suited Belfast and their slimmer-than-expected two goal lead just fine. 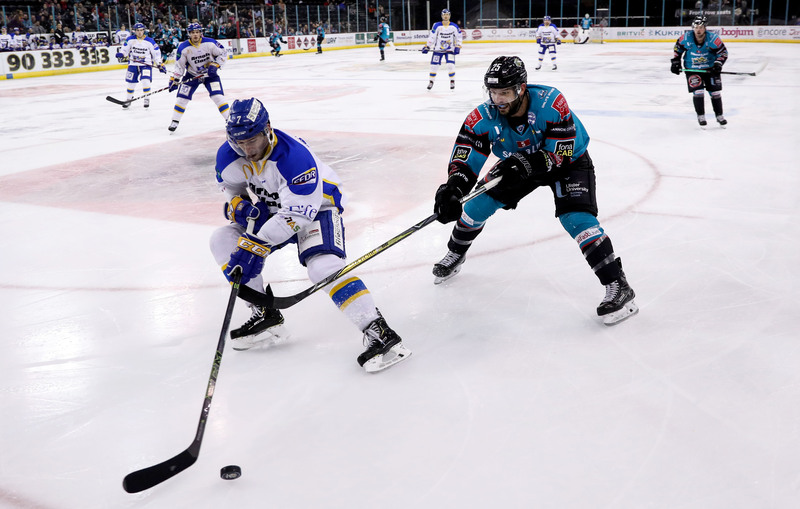 Fife did little to pose a serious threat in the first ten minutes of the period, and despite a number of sniffs on goal, Adam Keefe’s men failed to put together much potent offense. With 12.09 left in the game, the Giants Head Coach called a time out to add his final tweaks to the closing minutes. 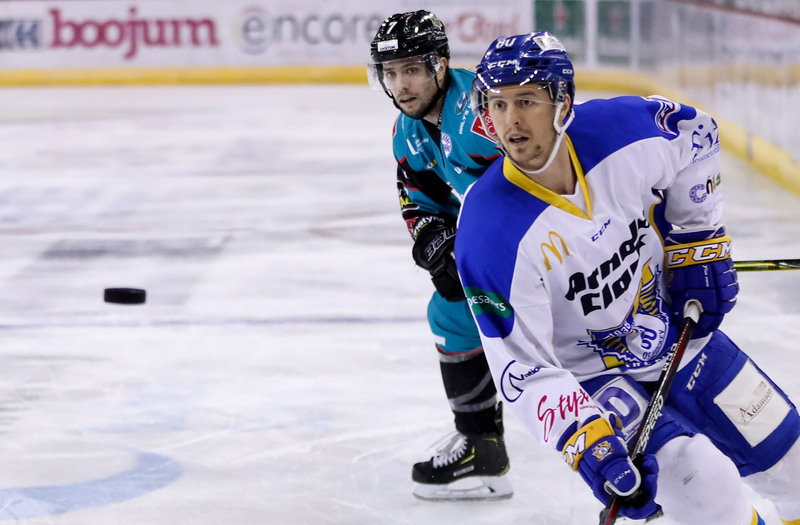 Colin Shields sat for a hooking call at 53.16 and despite decent Fife pressure the PK unit was successful. Fife attempted to pull Shane Owen within the game’s final two minutes, but Blair Riley found the net from the neutral zone with the Fife goalie stranded in the low slot. A much needed return to winning ways, with two games to go on the weekend.